Sept. 5, 2018 — John Smulian, M.D., M.P.H., has been selected as the B.L. Stalnaker Professor and chair of the UF College of Medicine department of obstetrics and gynecology. He will succeed Stan Williams, M.D., who has led the department for more than 10 years and plans to return to his faculty role as a reproductive endocrinologist in the department. Smulian is currently vice chair, chief of the division of maternal-fetal medicine and director of research in the department of obstetrics and gynecology at Lehigh Valley Health Network, or LVHN, in Allentown, Pennsylvania. He is also currently professor of obstetrics and gynecology at the University of South Florida Morsani College of Medicine due to the partnership between LVHN and USF. Prior to his arrival at LVHN, Smulian spent 14 years at the University of Medicine and Dentistry of New Jersey — Robert Wood Johnson Medical School in New Brunswick, where he was a professor and director of the division of maternal-fetal medicine, director of the fellowship in maternal-fetal medicine and director of OB-GYN research. A native of Atlanta, Smulian received his undergraduate degree at the Johns Hopkins University and his medical degree at Tulane University School of Medicine. While at Tulane, he also received a master’s degree in public health at the School of Public Health and Tropical Medicine. He completed his residency training at Emory University School of Medicine in Atlanta and his fellowship training in maternal-fetal medicine at the University of Connecticut, Farmington. Smulian, who was named the 2017 Physician of the Year by the March of Dimes, Northeast Pennsylvania Market, has a strong interest in providing the highest-quality clinical care in all aspects of women’s health. He has received a number of teaching awards, has been active in educational programs for students, residents, fellows and practitioners and has developed numerous regional CME conferences designed to improve clinical care in perinatal medicine. With a variety of research interests, Smulian has been active in sponsored research funded by the National Institutes of Health, the Centers for Disease Control and Prevention, foundations and industry for more than 20 years. His areas of particular interest include perinatal ultrasound, clinical perinatology, disorders of extracellular matrix, the early origins of health and disease, disparities in women’s health research, perinatal epidemiology and mechanisms of care delivery. He serves on the editorial board of the Journal of Clinical Ultrasound. 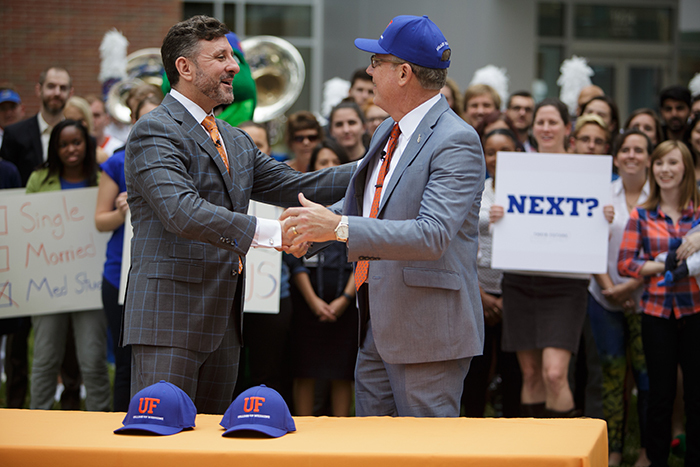 Smulian said he looks forward to working with faculty and staff of the department and college to make UF a preferred destination for comprehensive health services, educational programs and collaborative research in all aspects of women’s health locally, regionally and nationally. He begins his new post Jan. 15.